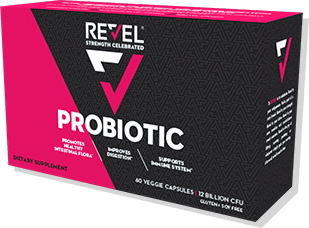 Revel has created a women’s probiotic that supports healthy intestinal flora, digestion, and immunity. 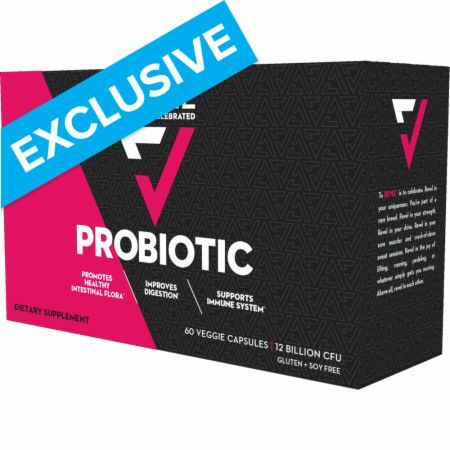 * Revel Probiotic ingredients include 12 billion active cultures. Refrigeration is optional: Our thermoform foil packaging keeps beneficial bacteria alive and effective. Microcrystalline Cellulose, Hypromellose, Vegetable Magnesium Stearate, and Silica. Directions For Probiotic: Take one serving (1 capsule) of Revel® Probiotic daily, preferably with a meal. Warnings: Consult your physician before use if you are taking any medications or are under a physician’s care for a medical condition. Not for use by those under the age of 18 or women who are pregnant, trying to get pregnant, or nursing.